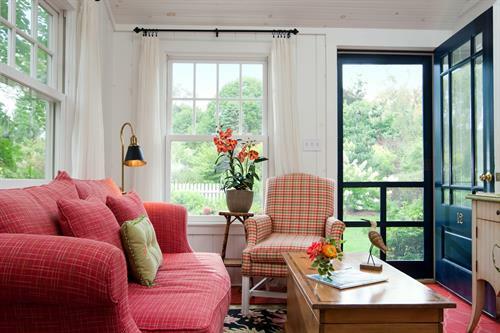 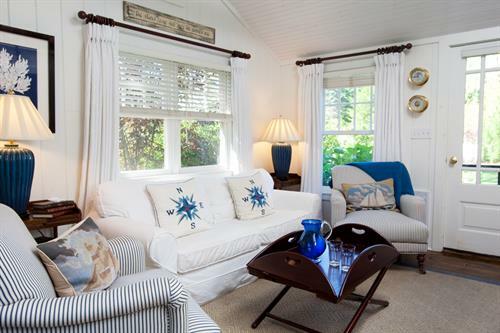 Captivatingly cozy and quintessentially Maine, this magical enclave of 16 quaint Kennebunkport cottages is a giant departure from the classic Maine B&B. 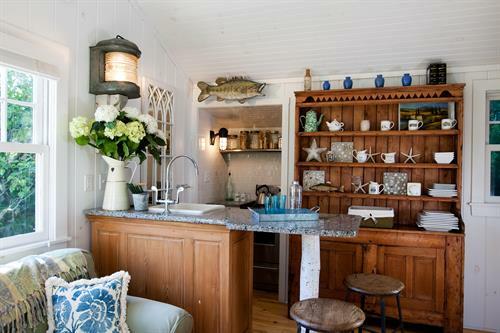 Hard to describe, yet easy to love, we think Renovation Style magazine may have summed up Cabot Cove Cottages best decorated little houses with patios and lush landscaping, clustered next to Cabot Cove, one of Maine's most beautiful saltwater settings. 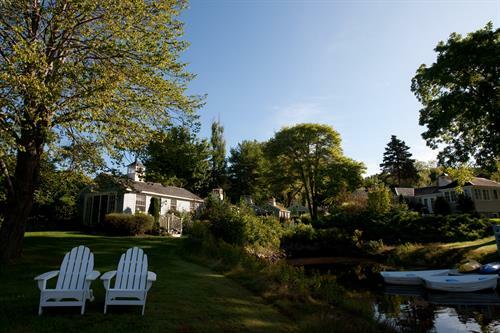 -Operated as a twist on the traditional Kennebunkport B&B, these whimsically intimate nightly accommodations offer the perfect romantic getaway to Kennebunkport Maine. 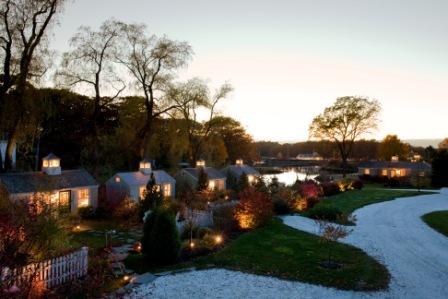 Meander the grounds, play croquet, paddle a boat into the cove. 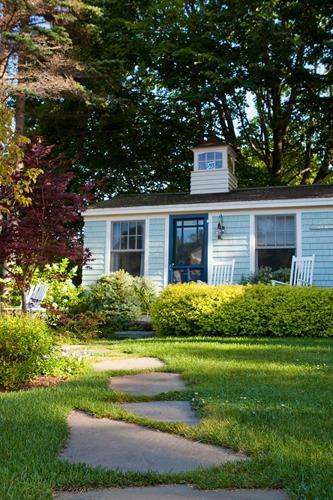 When you are ready to face civilization, take a the short stroll into the heart of Kennebunkport's renowned Dock Square to shop, eat, or peruse fine art. 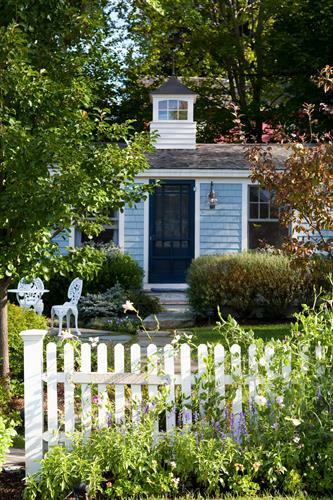 Walk tree-lined streets showcasing 18th century sea captains, homes, it's all just minutes away. 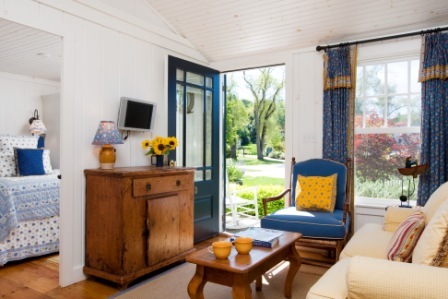 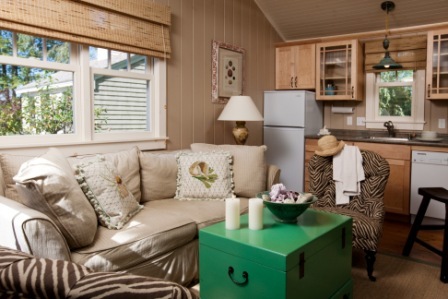 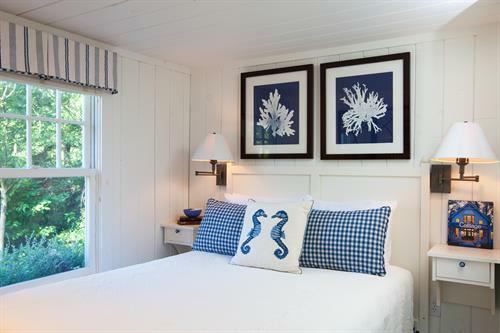 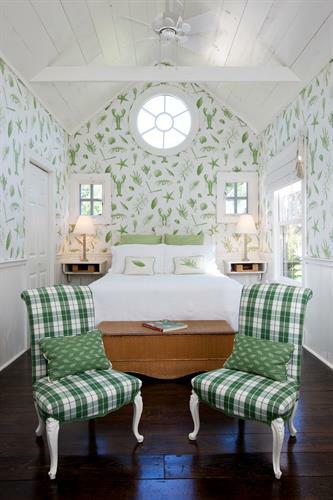 Each of our cottages has its own charm and personality; each beautifully decorated by a different interior designer. 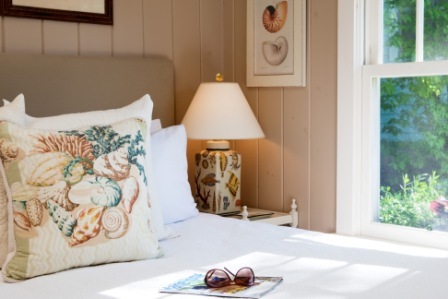 Discover the one that speaks to you and plan your Maine escape today.